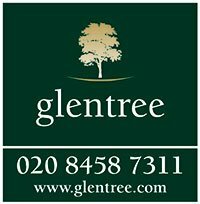 Simply quote ‘Glentree50’ when you call or use our enquiry form. We’re an acclaimed London based removals company made up of bright, professionally trained and friendly people who are as comfortable moving a Matisse as they are a mattress. In fact we’re comfortable with any kind of moving job that a client might need from a ‘man and a van’ to large scale international moves, even storage. Our dependable and trustworthy removal teams are established and experienced working in the busy London market, with lots of great reviews and feedback to testify to this.